World Wildlife Fund iPad App Updated: Rhinos! WWF Together, by World Wildlife Fund, was one of our recent selections for Best Free iPad of the Week and is just a superb app. It promotes a wonderful organization and features spectacular photos of endangered species from around the world. The app has had a content update this week and has added Rhinos to its featured animals. 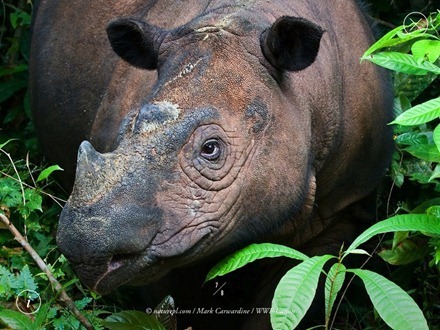 As with all the animals included, the photos of Rhinos are stunning and highlight how impressive these creatures are. This update has been done automatically within the app itself – without any need to update via the App Store. This app is a real favorite for my daughter and I and I’m glad to see new content added to it so soon after its initial release.